Thank you for taking the time to view my painting. Please contact me for a painting like this. I will get back to you right away!! This painting is a sample and is listed for custom order purposes. Send me a message and I'll send you a quote. I can create a brand new original custom painting similar to this painting or completely fresh and new just for you! I love to work on huge canvas! 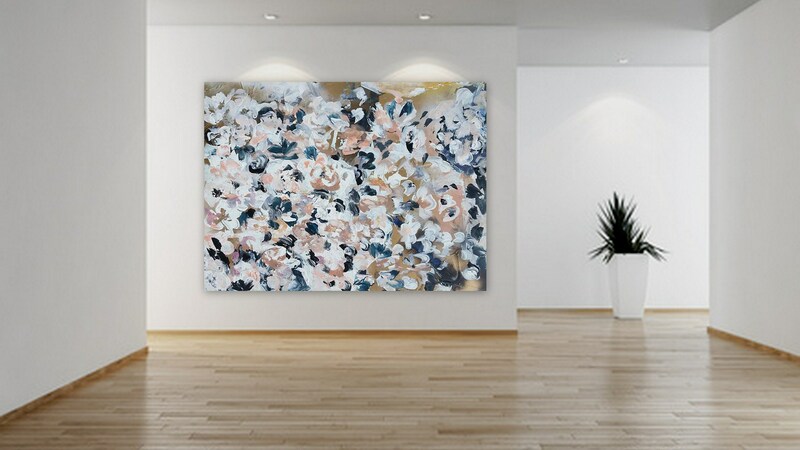 I love painting abstracts and florals! Follow me on instagram to hear stries and meaning behind my art. Thank again and happy browsing!